NOW 99% COMPLETE AS OF 4/16/19…COME FOR A PRE-VIEW SUNDAY 4/21 FROM 1-4PM!! !….All brick new construction stunning details & luxurious living spaces with heated 2.5 car garage. 4632 square feet, 6 bedrooms, 3.5 baths, gourmet island kitchen, sub zero bosch, and thermador appliances, stunning master suite featuring carrara white marble, elegant soaking tub, rain/steamer shower by grohe, 5 kingsize br’s, 1 queen br, 750+ sq ft outdoor Trex deck with covered natural stone fireplace, custom millwork with coffered ceiling thru-out, family room with lux wet bar, heated floors lower level, fully wired audio-video-security, Smart Home prewired. Tier 1 for acclaimed Audubon Elementary School (2 blocks west) and just 3/4 mile to Lane Tech HS ranked #3 in Illinois! Please, send me more information on this property: MLS# 10258729 – $1,595,000 – 3509 North Damen Avenue, Chicago, IL 60618. 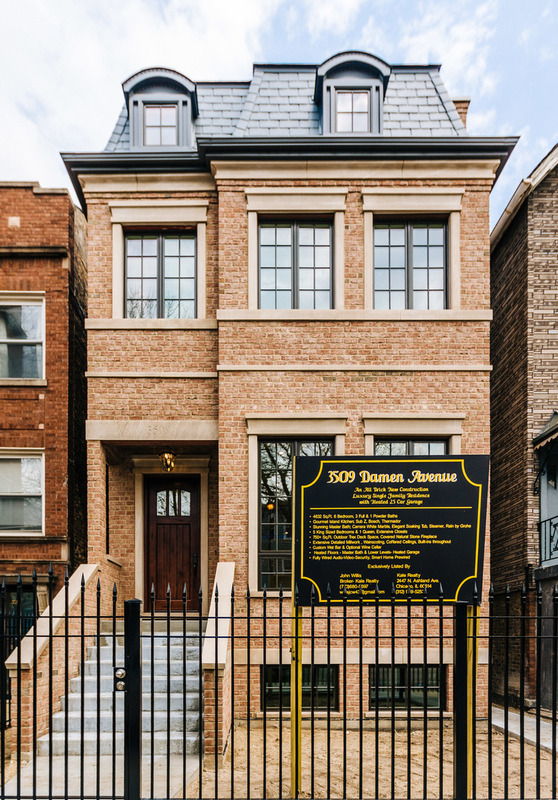 I would like to schedule a showing appointment for this property: MLS# 10258729 – $1,595,000 – 3509 North Damen Avenue, Chicago, IL 60618.